N.L. 's biggest tourist attraction is plotting out its management plan for the next 10 years. Parks Canada has begun asking the public to help weigh in on what they want to see over the next decade as it shapes a new management plan for the province's top tourist attraction, Gros Morne National Park. 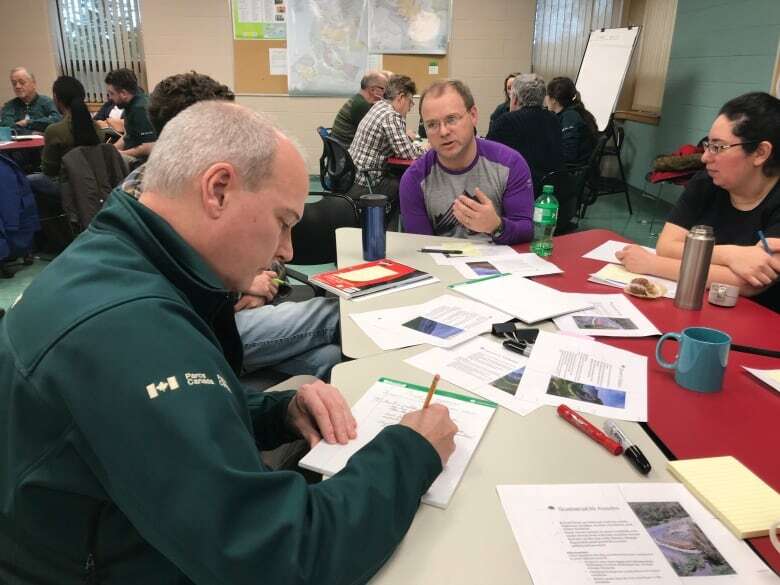 About 30 people — from scientists, to tourism operators, to locals who simply love the park — crowded into classrooms on Grenfell Campus for the first community consultation session Thursday afternoon in Corner Brook. 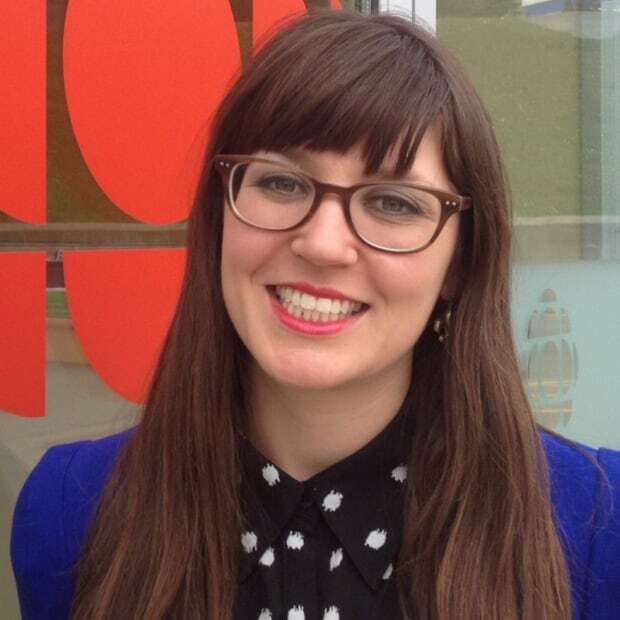 "The more feedback that we're getting from the people who actually own the parks — Canadians own our parks — it's invaluable. It's going to help us set the direction for the next 10 years," said Greg Knott, a public relations officer with the park. 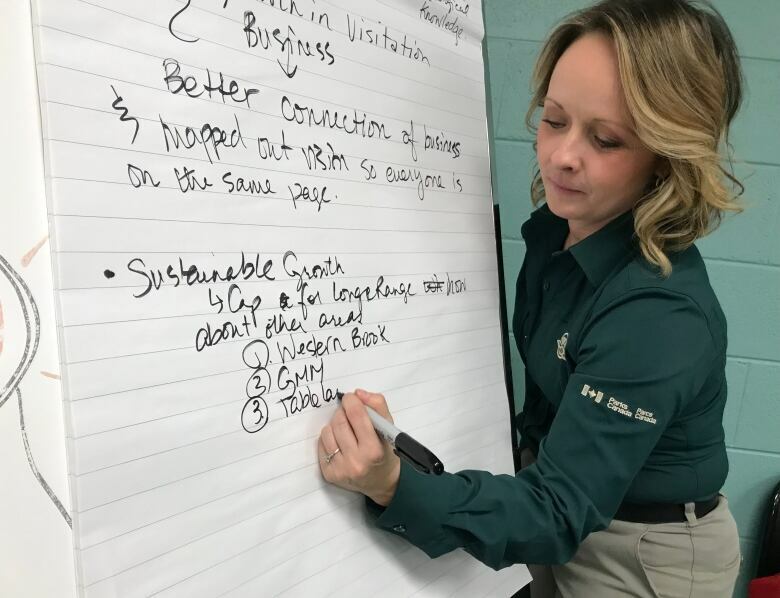 For two hours, Parks Canada staff explained its priorities and collected feedback about the challenges and opportunities facing Gros Morne, which sees more visitors every year than Signal Hill or Cape Spear. People highlighted diverse concerns, from declining salmon returns, to the amount of snowmobiling, to boosting tourism in the shoulder and winter seasons. 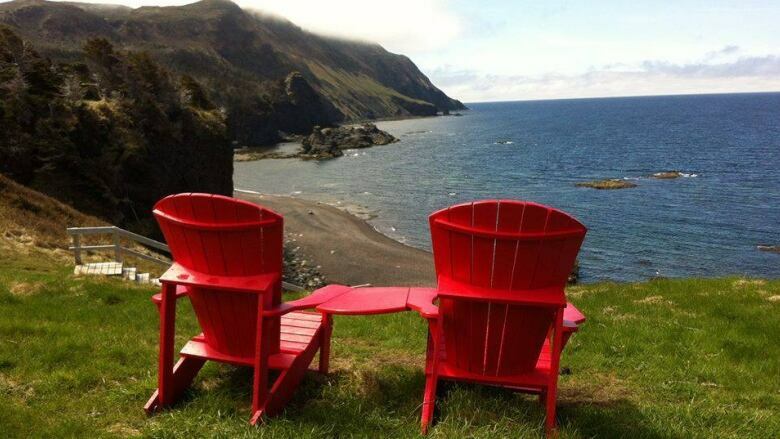 One huge challenge for the park's future is clear: each year, more and more people are flocking to Gros Morne. Since 2013, visitation at some of its top attractions has grown between 39 to 46 per cent, according to Parks Canada. A Parks Canada pamphlet handed out at the meeting called this juncture in Gros Morne's development "a critical point in its move from being a 'nice to visit' locale to becoming a 'must visit' destination.'" Compared with when the last management plan was approved in 2009, "it's a different park," said Knott. "There's definitely a lot more engagement, a lot more activity, and excitement in the area." "I think it's a positive thing. It's a big economic generator for us on the west coast," said Peter Antle, one of the people who came out to brainstorm about Gros Morne. "There are ways to manage those numbers, and that's what we need to deal with. I don't think we should ever be concerned that there's too many people coming." 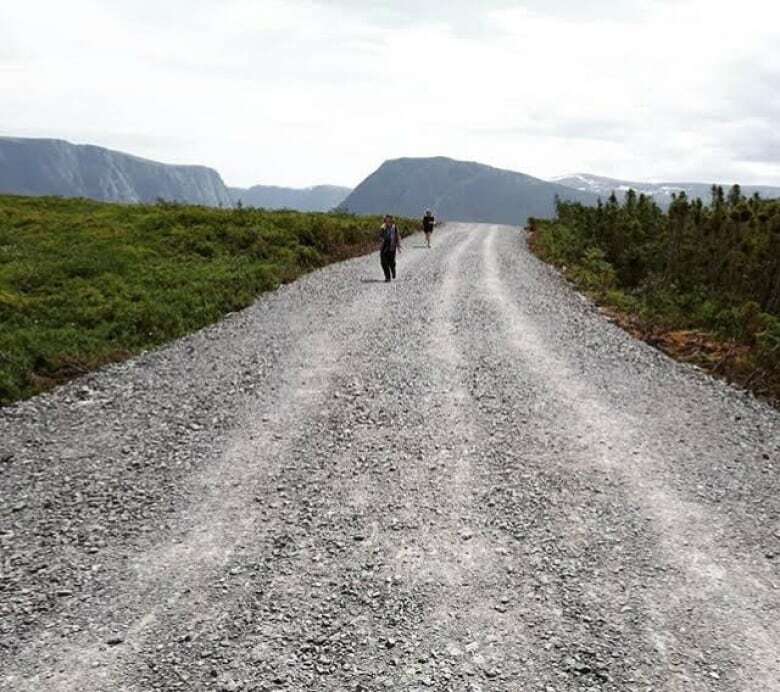 Parks Canada has come under fire for some of its recent decisions around managing visitor impact, such as the overhaul of the Western Brook Pond trail. The trail, now in its final phase of construction, has been completely renovated and widened, in part to deal with the ever-increasing numbers of people walking its path to the popular boat tour. Almost 40,000 people used the trail in 2017, an increase of 46 per cent from 2013. The trail construction generated intense backlash in the summer of 2018, and staff at Thursday's meeting welcomed additional criticism, while also asking people how they felt about further developments for the attraction, such as using electric vehicles on the trail to make the area more accessible. "We've heard lots of positive feedback, we've been hearing some criticism about certain initiatives that we've undertaken. And we want to hear that," said Knott. Knott said that attention over the trail has helped boost public interest in the future of the park overall. "One thing we have been noticing is we definitely have a higher engaged population than what we've had in the past," he said. "Certainly these touchstone projects help people to focus on Gros Morne, and we encourage people to give us that feedback." The Corner Brook session was just one public consultation meeting, with others held or being held in St. John's and the park's enclave communities of Cow Head, Norris Point and Woody Point. Those meetings, along with private sessions with stakeholders and online comment cards, contribute toward the planning for the overall park management plan, a document required by federal legislation to be renewed every 10 years and approved by Parliament. "The more people that get out, the better that we can help develop our management plan," said Knott. The information gathered at these sessions will be put into a draft plan, which then will again be circulated to the public, before being sent to Ottawa in the fall of 2019.